Double the jumper, double the fun! 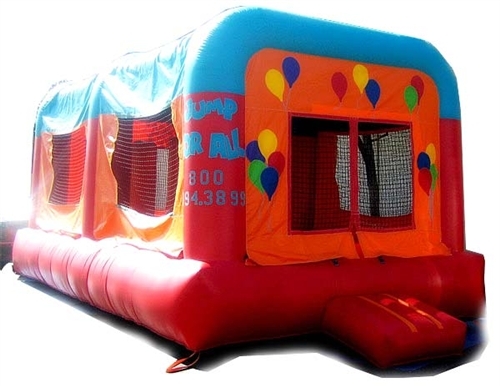 Our extra large Double Jumper bounce rental is long in bounce. Available in bright, cheery colors, it’s easy to set up and comes with a large entrance and plenty of netted windows. It also features obstacles inside that are a laugh to tackle. Safe for children of any age. As bounce rentals go, this one is guaranteed to provide hours of fun.